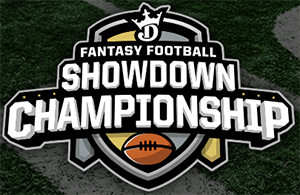 DraftKings announced their $1 Million Fantasy Football Showdown Championship (FFSC)! The 1st place champion will receive $100,000! All 100 finalists will cash out! 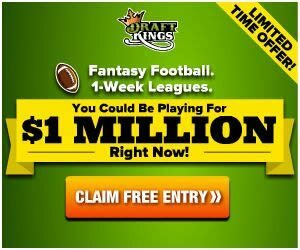 This DraftKings online championship will be held on Thursday, November 29, 2018 for the New Orleans Saints vs. Dallas Cowboys game. The DraftKings FFSC is a qualifier event only. Satellite and qualifier contests for this event run through Monday, November 26, 2018. Fantasy footballers, don’t miss out on your chance for your share of this guaranteed $1 Million prize pool in the ultimate single-game fantasy football championship!